Along with so many of you, I have spent the past year-and-a-half poring over the stories of our Founding Fathers in response to the musical Hamilton. I admit it: I know every song, every lyric, and I’ve been fascinated by the subtle nuances and references to historical details behind the lyrics. Complicating matters, I was steeped in these Wikipedia pages and (the amazingly comprehensive) Genius lyrics annotations all while there was a heated Presidential campaign going on. All these factors came together to give me a new life-goal: to read a major biography on every President of the United States. And so I picked up my copy of Ron Chernow’s fantastic book Washington: A Life (for Hamilton fans, you may recognize Chernow as the author of the book on which the musical is based). Appropriately, I finished the book this past Monday, President’s Day (previously celebrated as Washington’s Birthday). It’s the longest book I’ve ever read (weighing in at 905 small print pages), but easily one of the most enjoyable. 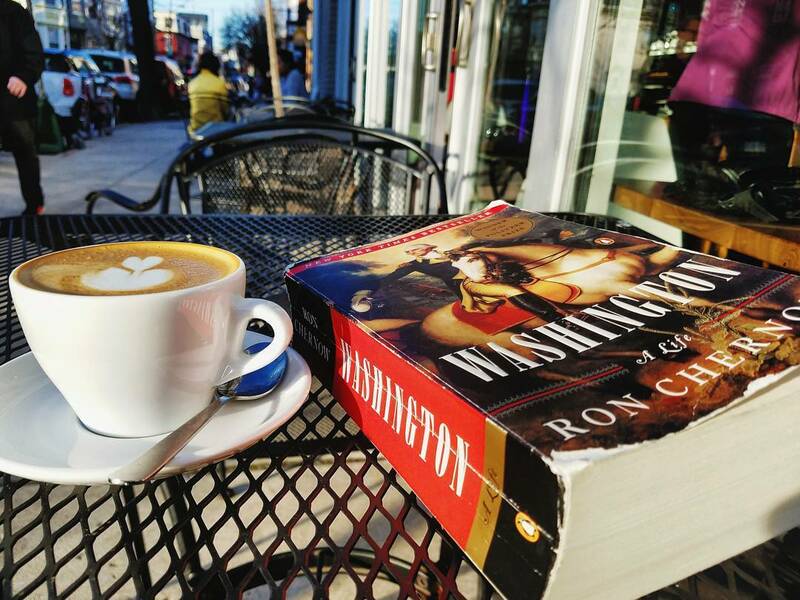 The book is separated into major parts spanning the main epochs of Washington’s life. Each chapter has a rough theme or topical emphasis restrained to a small sliver of time. This means that within the space of a few adjacent chapters, you may look at the same period of three to seven years, but from different angles and perspectives. As is the case with contemporary historical writing, the purpose is less hagiography and more about making real the historical events that can otherwise seem so cold and distant. And ultimately, this is what makes a biography infinitely more edifying to read than a Wikipedia page. Sure, you might get the same facts conveyed in a shorter amount of time, but one’s life is not the accumulation of facts and accomplishments: it one’s inner life manifested into the world as it relates to others and the history in which they are embedded. And that is perhaps the greatest strength of this book. George Washington is a notoriously complex and staid man with a vibrant, passionate emotional life that rarely showed itself to the rest of the world. For all the he did, accomplished, and saw, the world inside his soul was always more eventful. Yet how does one convey that without falling into psychological analysis and sentimentality? Chernow nails this aspect of Washington’s person. In these pages is a real, living, breathing person with flesh-and-blood. He screws up, gets angry, has doubts, and fights his own inner-contradictions. By the time you get to the end, Washington’s death (spoiler alert) is experienced viscerally as the loss of someone you feel you actually know. The most cliche praise one can give to a non-fiction book is that it “reads like a novel”. This book does not. It is a history book written in everyday, but intelligent, prose. Its pace is laid-back, and it’s a joy to read. Chernow manages to avoid nearly every easy pitfall of a biography. He doesn’t bog things down with long block quotes, but still fills the pages with original sources. I can’t recall any moments where I still had lingering unanswered questions at a chapter’s end, and yet no chapter gets bogged down in unnecessary, superfluous details. It is difficult to think of any weaknesses in this book. If I had to say anything, I would say that Chernow tells the story of Washington’s political life as one in which there were definite heroes and definite villains. While Chernow doesn’t shy away from Washington’s personal defects and flaws, he certainly feel he was politically unerring. Madison, Jefferson, and other Republicans come out looking particularly bad, while Washington, Hamilton, Lafayette, and others seem to be the only sensible ones in the room. Secondly, I would add that Chernow hits the slavery issue more than I found necessary. He understanding that this was Washington’s greatest flaw, and the first thing modern liberals bring up to temper our Founder-worship. But still, there are more chapters devoted to returning to this singular topic throughout Washington’s life than any other distinct theme. Don’t get me wrong: I’m talking about, say, five or six chapters in a 67-chapter book–it’s not over-the-top. But for a book that spends much of its time exploring Washington’s life as he lived it, his blindness on slavery means that whenever it is brought up, one leaves the realm of Washington’s own mind and moves into external analysis. It can sometime break the flow of the story. The evil of slavery in Washington’s day definitely deserves a thoroughgoing critique, mind you; I just wonder if it could have been integrated a little more smoothly into the overall telling. Get this book. Read it. I think the genre of biography ma be of special use to us in our contemporary situation. Politics and books about it have become entirely utilitarian and pragmatic. We read nonfiction books nowadays and want to skip to the policy prescriptions, the “fixes”, the novelty, and the ever-increasingly hyperbolic explications of ideology we already agree with. When it comes to politics it’s hard to find those spaces where we can learn how to think politically rather than just what to think. A biography such as this invites us into that kind of space. Immersing ourselves in the life and times of a man such as Washington gives us perspective, insight, depth, and (perhaps most importantly) optimism about our great national experiment. I hope you all get this book and that it feeds your soul as it fed mine.